If you’re looking to escape the canyon country’s summer heat, head up to Jubilee trail on the edge of the Aquarius Plateau. Instead of sweltering in the hot canyons of Escalante during the summer months, Utah’s high Aquarius Plateau offers hiking relief. If you’re looking for spectacular scenery though, the Jubilee trail won’t deliver. This hike starts and stays in the trees, opening up only occasionally for views of forested slopes. From the trailhead, you can see a cairn marking a faint path that heads north along Pine Creek. Pass a campsite and fire pit on your left soon after leaving the parking area. At 0.2 mile, a fainter trail branches left across the creek. It’s an easy hop across the water, with the trail continuing along a barbwire fence on the other side. 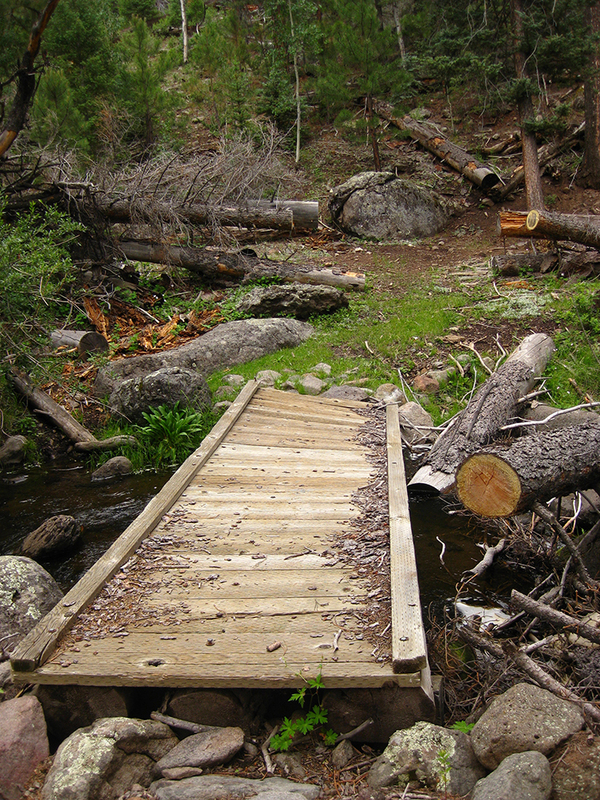 If you miss the turnoff or are averse to wet feet, continue straight to reach a footbridge farther upstream. Pastures to your left almost resemble meadows, but overgrazed grasses and cow pies along the trail tell of the presence of cattle. 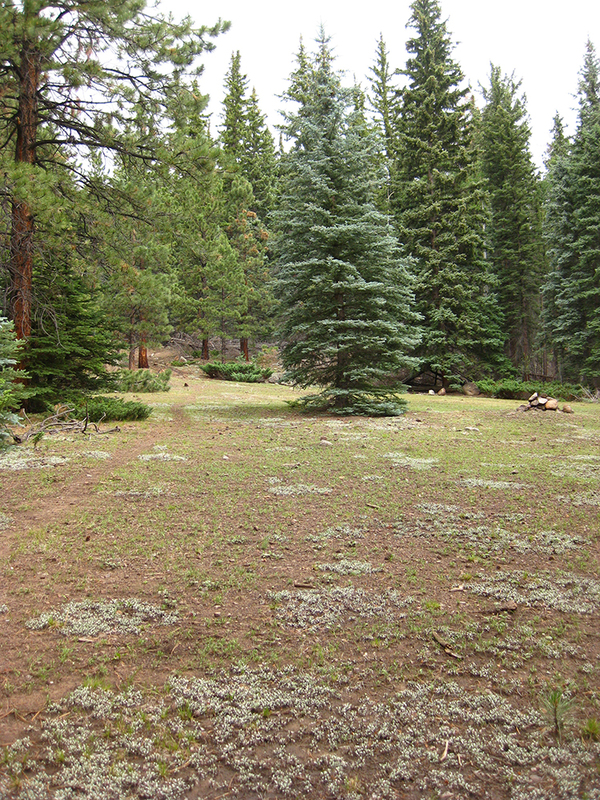 Since national forests have a multi-use land designation, expect to see evidence of grazing throughout the hike. The trail cuts through a meadow at 0.4 mile, where you need to keep a close eye out so you don’t lose your way. Walk to the cairn, and look straight ahead for a blaze on a ponderosa pine a hundred feet in the distance. These blazes, which are two distinctive marks cut into the bark, will help you navigate the rest of the trail on this hike. You parallel the creek for a while, but debris and fallen wood tend to obstruct views of the running water. About 1 mile down the trail, you come to another clearing with a cairn in the center. Turn left at this unmarked junction, where the trail begins a steep climb. At 1.2 miles, a sign points straight ahead for the Jubilee Trail and left for the Auger Hole Trail and FR 154. Stay on course, straight ahead, noting the blaze at eye level on the trees. In another half mile you come to a small bridge. After crossing, continue on to yet another meadow where you find another cairn around 1.7 miles. Take a hard left here, and follow the trail up steep switchbacks. For the first, and one of the few times on this hike, the dense forest briefly opens and provides views of the ridge across from you. 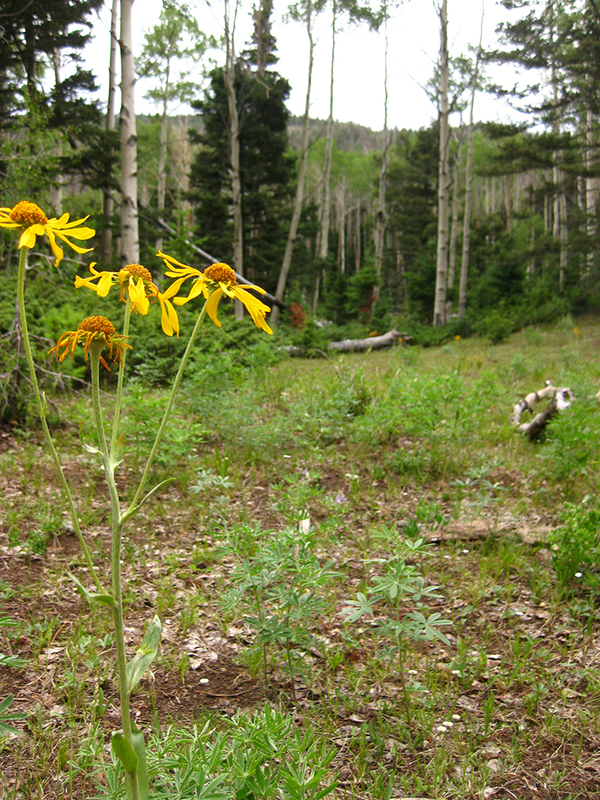 Your calves will be happy when the trail finally levels out at 2.8 miles, as you walk through an aspen grove with lupines and sunflowers growing underneath. The trail continues north, passing through a fence at 3.2 miles. To the left, you see a bridge crossing Pine Creek and a trail heading west, but you continue straight ahead on the Jubilee Trail. For the next three-quarters of a mile, the trail is patchy and hard to follow. Keep looking for blazes that mark the route through the meadows and forest. When you reach the remnants of an old wooden structure, the vague resemblance of a trail veers right and heads up the steep, rocky slope. At 4.3 miles, an old flagpole juts out from a rock base as you make the final climb to the guard station. The dense aspens match the dense mosquitoes you will likely encounter on the last stretch of trail. Jubilee Guard Station is just a little farther ahead, at 4.5 miles. 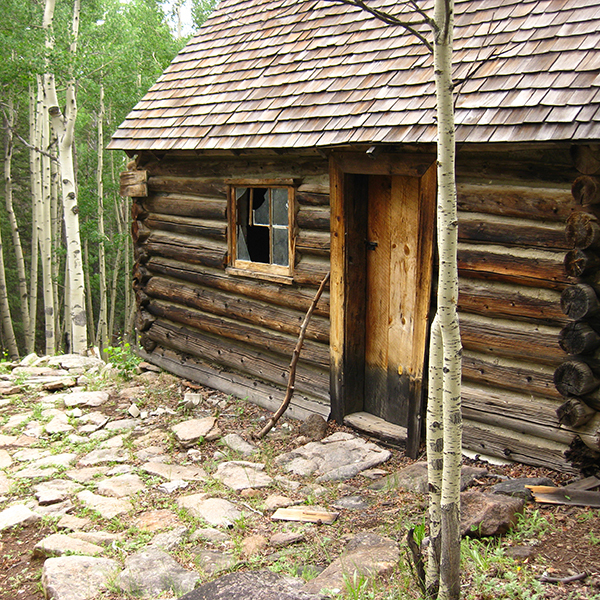 Built in 1908, the cabin provided shelter for the forest reserve guards monitoring Escalante Mountain, who worked on horseback in the summer months to regulate grazing practices on the Aquarius Plateau. Inside, you see a wooden desk, bed, and chest in addition to a ladder leading up to a loft. Remnants of a logbook sit on the chest, but all the pages appear to have been eaten out by mice—a plausible scenario given all of the rodent droppings on the floor. Retrace your steps along the Jubilee Trail, and enjoy the downhill you’ve earned on the way back to the trailhead. Heading west through Escalante, turn left, or north, on 300 E. The road forks at 0.7 mile, and you stay right at the junction. Continue along this road, FR 153, until you get to a signed junction at 13.2 miles. Stay on FR 153 and turn right towards Blue Spruce Campground. The road passes over Deep Creek at 14.3 miles and Pine Creek at 21.9 miles, where you will turn left onto FR 145. 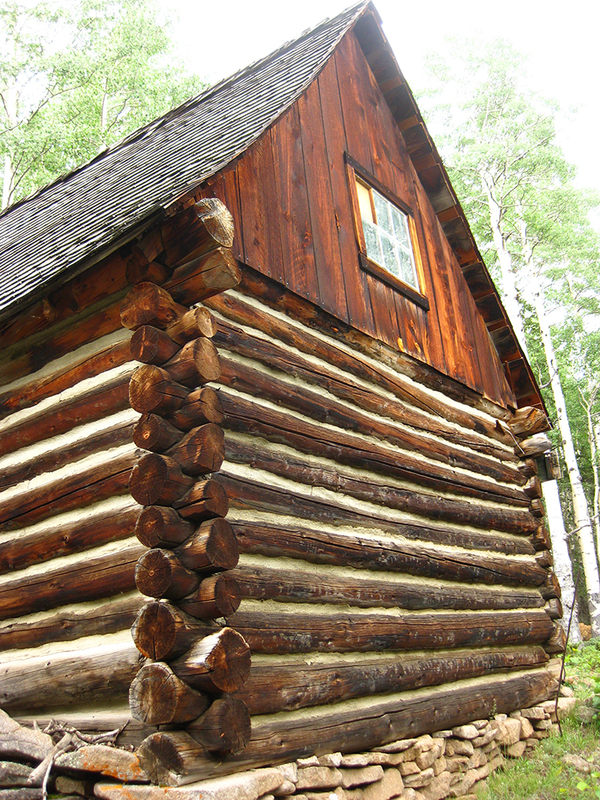 Drive north past Blue Spruce Campground and Cowpuncher Guard Station, and arrive at the trailhead (23.6 miles). The parking area is to the left of a Forest Service sign that points towards different trails.